You’d never go to church wearing something that forced you to apologize each time you saw someone. “I’m sorry I have this huge stain on the front of my shirt”. There’s only one time to make first impressions. Imagine if you’re in charge of welcoming visitors! You’d spend time deciding what to wear and what to say. You’d not want to apologize for your appearance every time you met someone. An apology is never a good introduction. Yet a church apologizes regularly about their church website. Pastors and Ministry Leaders all across the country have church website issues and they know it. When asked for information, they’re often heard saying, “Go to our website, but I’m not sure where the information is. I’m sorry, the website’s not that good. You’ll have to search around for it”. 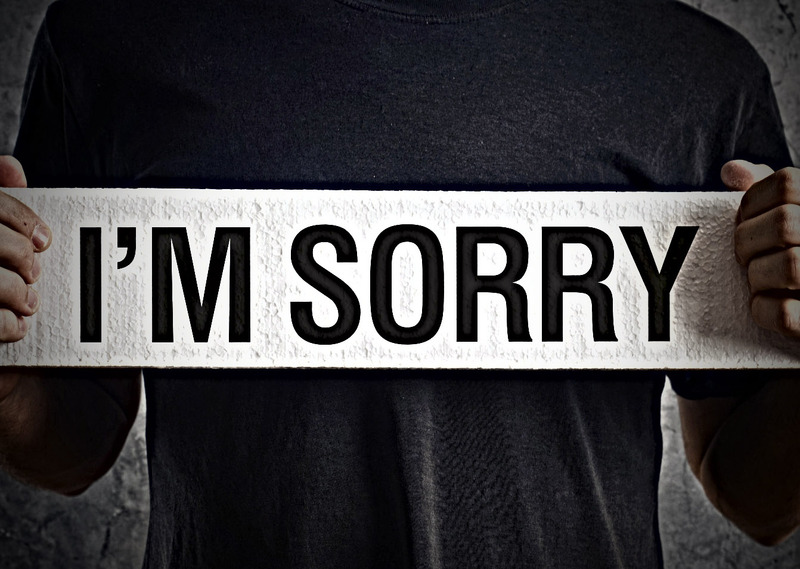 Churches often apologize for websites: functionality (or lack of it), content, accuracy, design, and programming issues. And we wonder why people don’t like going to our church website! No wonder why they like bulletins. Consider who your church website is for. Is it primarily for your congregation? Is it for your greater community? Both? Once you decide; consider what that targeted audience is looking for. What do they need from you? Why would they be clicking on your website? Organize your church website so people can find the information. Your sitemap (the outline of every website page as organized under the menu) needs to start with a few main menu choices (4-6). Then it should be obvious where everything is organized. Most people only click 3x in a website so consider the very important things that should be on the home page (times, directions, search, etc). Quiz some people to see if the outline makes sense. Simplify the User Interface Design. Gone are the days when people enjoy cool, crazy, layered design. Now? They like simple, flat, design that doesn’t interfere with the content, but instead, delivers it without getting in the way. Make sure the site is “responsive” so the device automatically rearranges the content based on screen size. It’s necessary! Edit your content. Most people won’t spend longer than 10 seconds on a page. Edit your content so that it’s quickly scannable on each page. Also ensure your church’s keywords are used over and over again throughout the church website so it’s search discoverable. Know the desired “next step” on every page. Make every page actionable. Your visitors and congregation get tired of hearing the apologies. Let’s work on our church websites so that we’re proud of our online presence. God calls us to a higher standard!